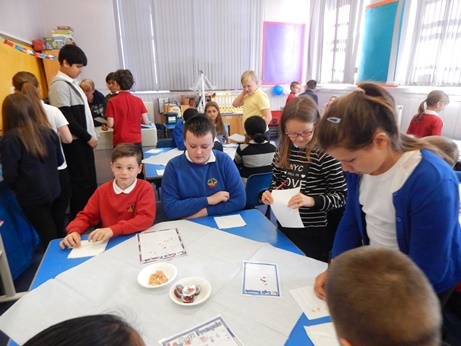 The children in P5 ran a French Cafe which served breakfast to the children in P5/6 this morning offering drinks and French pastries. 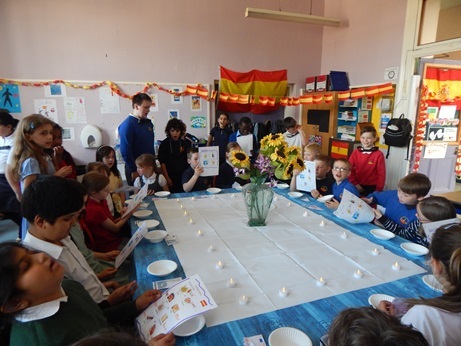 After break the P5’s were served lunch by the P5/6 children in their Spanish Tapas Cafe. Great fun was had by all and they all got a chance to practice ordering food in French and Spanish. 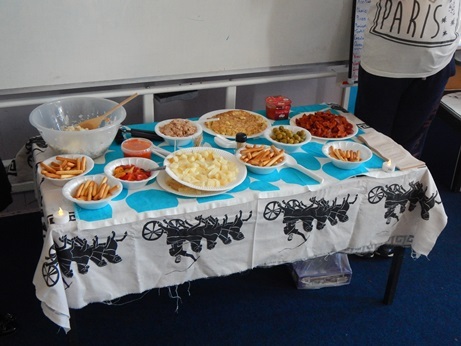 This entry was posted in Primary 5, Primary 6 and tagged cooking, health & wellbeing, modern languages on June 7, 2017 by jent. 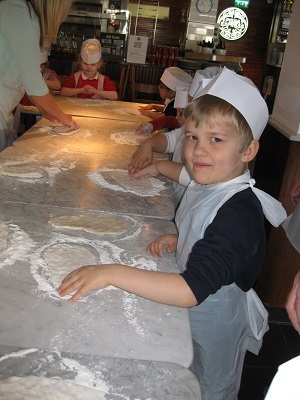 P1Y had a great time at Pizza Express. 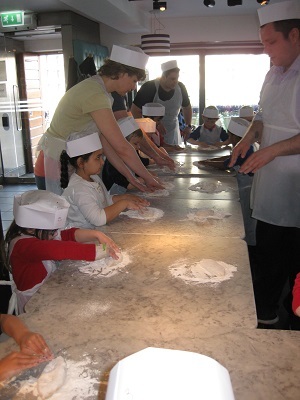 We got to play with the pizza dough before being told to put the flour all over the floor! It was fantastic fun! 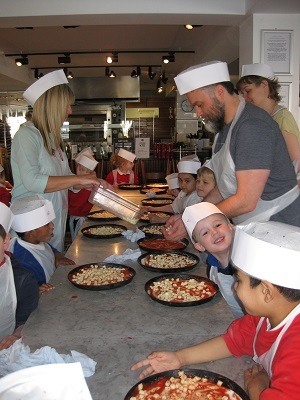 We spread tomato sauce on our pizza dough and then put on mozzarella cheese. While our pizzas were cooking we got to learn about and taste different ingredients. We had a fabulous morning and would like to thank all the parents who came along to help us. This entry was posted in Primary 1 and tagged cooking on June 7, 2017 by jent. BRILLIANT BIG BIKE BBQ BREAKFAST! Thank you to everyone who came to our wonderful BBQ Breakfast today. 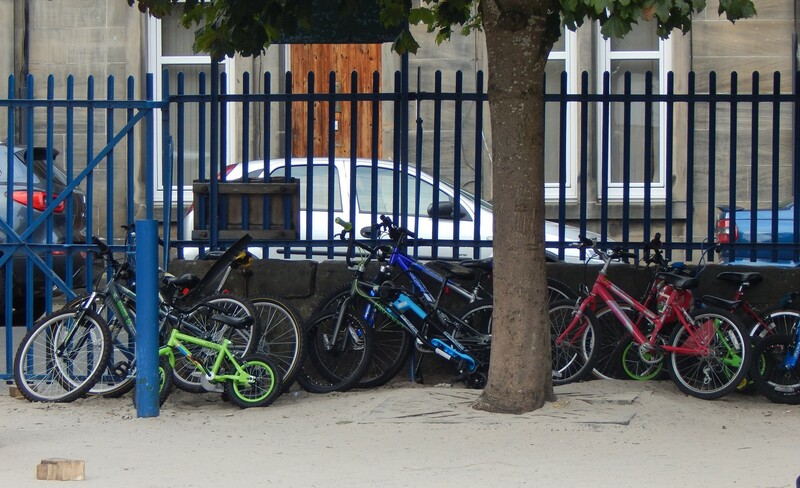 We were a very healthy school with lots of people cycling, skating and scootering to school. Thanks to all of our staff who came in at 7am to get set up! Thank you to all of the family members who came along with the children. Thanks to Sainsburys for providing al of those rolls free of charge! 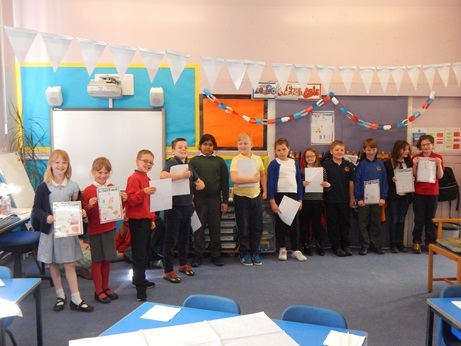 Finally, thank you P7 helpers- you were great and can all go in the Blue Book for being such hard-working helpers! This entry was posted in Whole school events and tagged cooking, Eco Schools, parents on June 7, 2017 by jent. Cold Day? How about a hot mug of delicious soup? The John Lewis chefs were busy again on Thursday. To ward off the cold winter days the team had the pupils making their own homemade tomato soup. Add to this a simple idea for cheesy croutons and a yummy post-soup fruity snack and you have lunch sorted for your hungry children. Thanks to the team for supporting our pupils and teaching them the health and hygiene rules of the kitchen and for the practise in putting together simple but healthy recipes. Our pupils loved it! Sauté chopped onion in a large pan with a little cooking oil until translucent. Stir regularly. Add chopped/grated carrot and soften. Add chopped tomatoes and stir for two minutes. Stir in pinch of sugar to sweeten. Dissolve vegetable stock cube in 450mls of boiling water. Pour stock on to vegetables and simmer for 20 minutes. Stir occasionally. Carefully blend soup. Add more hot water if you desire a thinner consistency. Garnish each bowl with a swirl of crème fraiche if desired. Using a star shaped cake cutter (or any shape you like) carefully cut bread. Arrange stars on a large baking tray and sprinkle cheddar cheese on top of each one. Place in grill and grill for 8-10 minutes until cheese is melted. Peel banana and cut in to 2mm thick disks. This entry was posted in Primary 3, Primary 4, Primary 5, Primary 6, Primary 7, Whole school events and tagged cooking, health & wellbeing, John Lewis, parents on November 21, 2016 by brucemurray67.